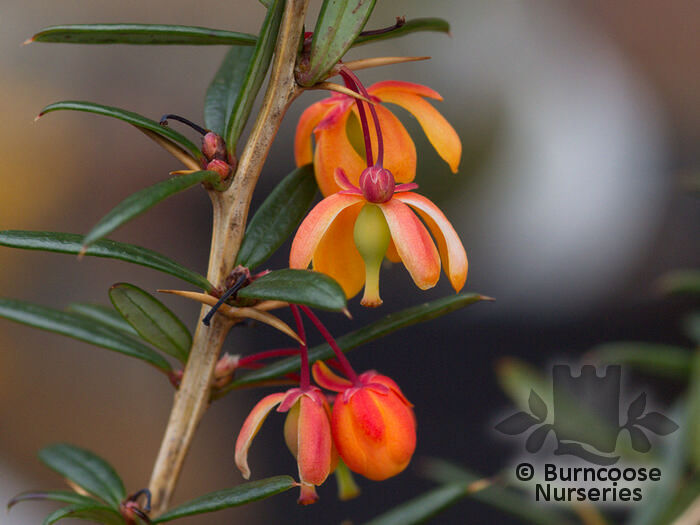 Genus of about 450 evergreen and deciduous shrubs from all parts of the northern hemishere, northern and tropical Africa and South America differing widely in form and habit from dwarf species to large garden or hedging shrubs and usually with spiny branches or spine-tipped leaves. 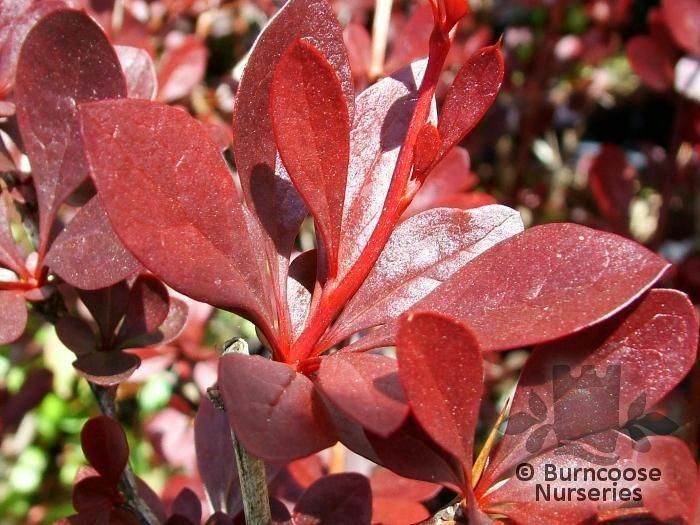 Barberry fruit, rich in vitamin C was used in the past to make jellies, jams and pickles. B. vulgaris is naturalised in the UK and was much-despised and destroyed in the 19th century as it is a secondary host of wheat rust. 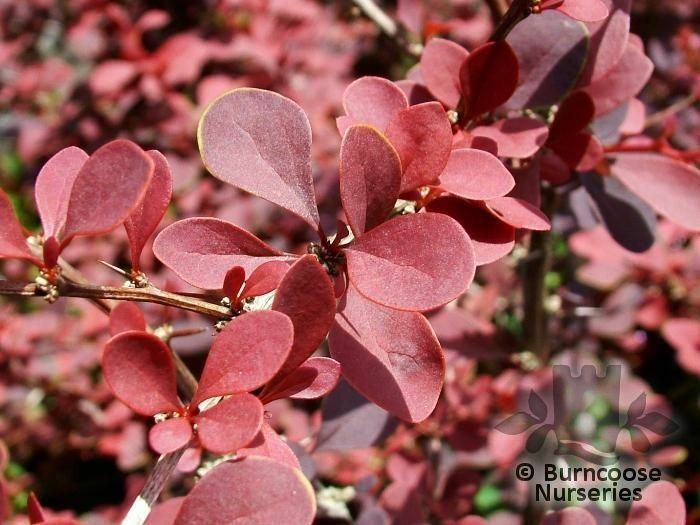 It is being planted to safeguard the rare Barberry Carpet moth, its sole food plant. 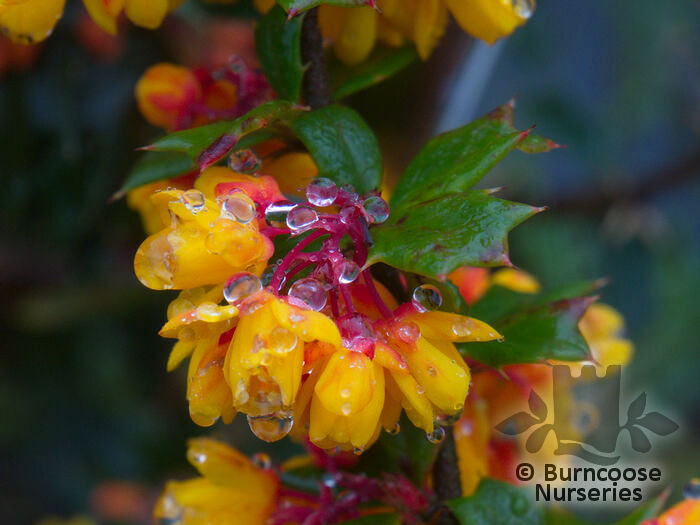 Deciduous - and evergreen shrubs grown for ornamental leaves, autumn foliage, yellow-orange flowers and red or blue-black berries. 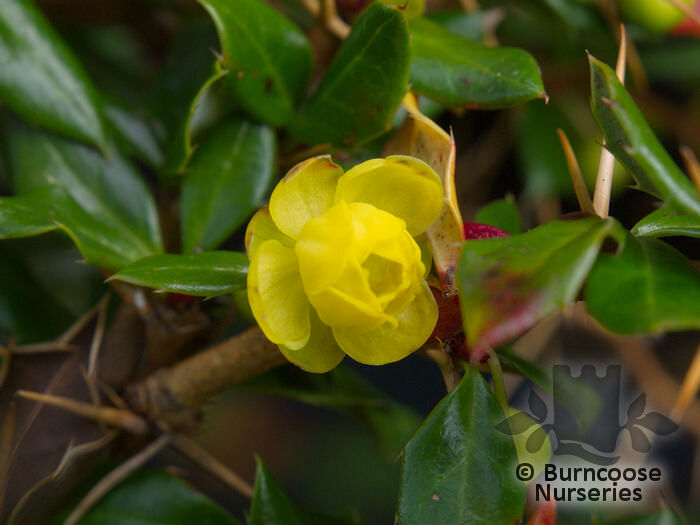 Full sun - fruiting and autumn colour are better in full sun. 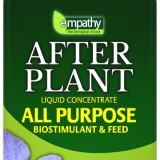 Additional Features	- Good to know - wildlife plant - birds. 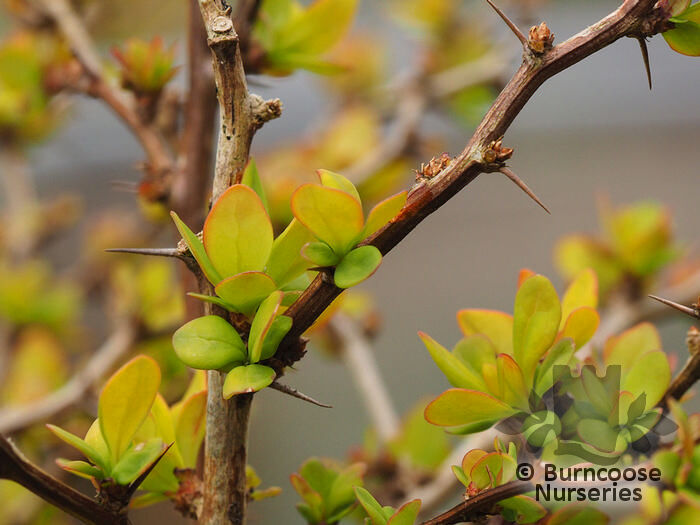 Vicious spines make impenetrable hedges. Plant under a bird table to keep cats at bay. 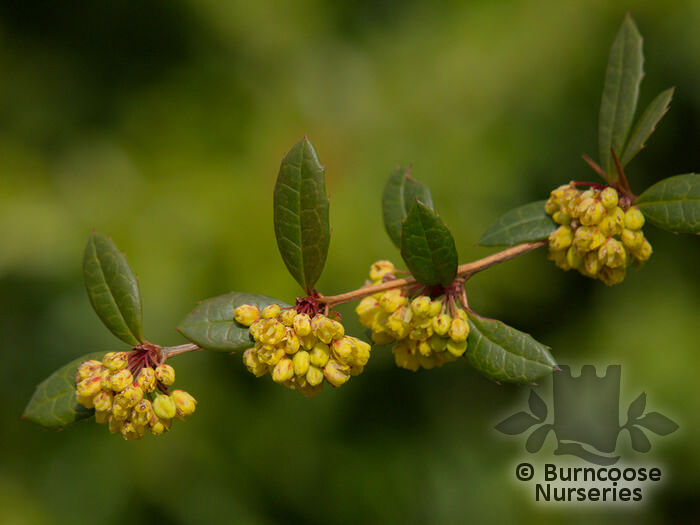 Trim hedges after flowering. Place of origin - all parts of the northern hemisphere, northern and tropical Africa, South America. 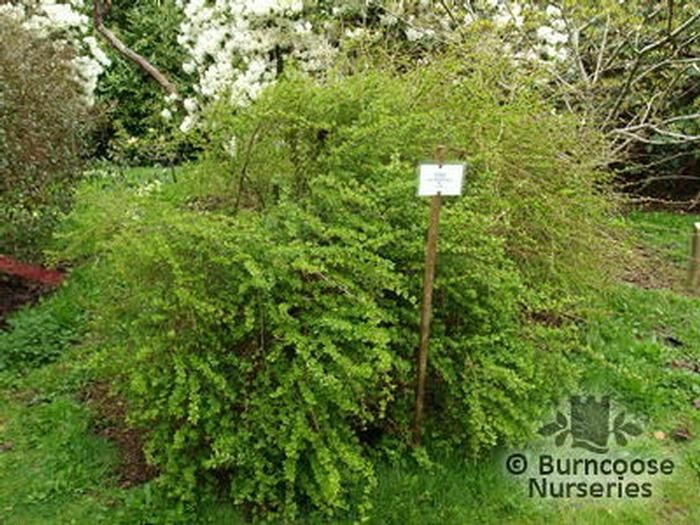 Commonly known as: Darwin's barberry. 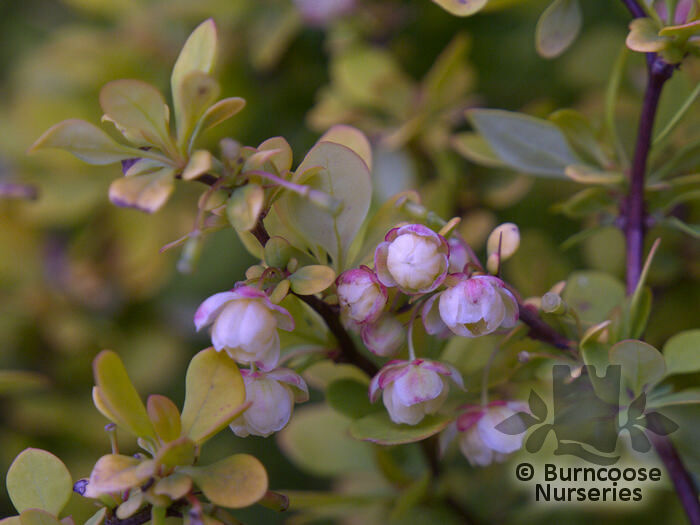 Commonly known as: Wintergreen barberry. 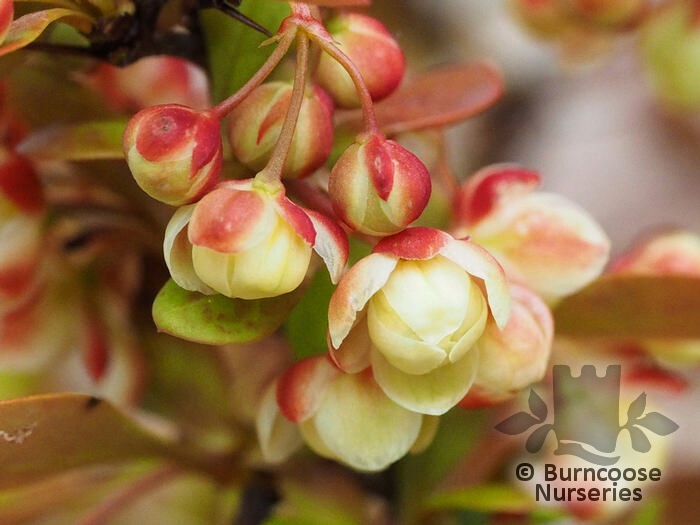 Commonly known as: Japanese barberry. 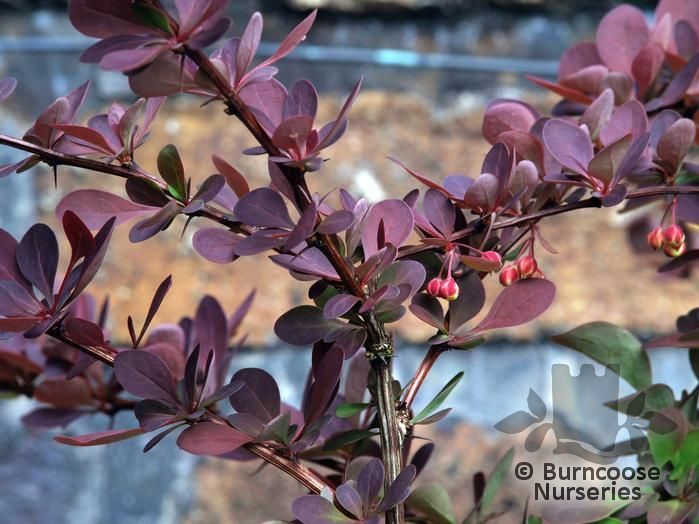 Commonly known as: Japanese barberry, Purple-leafed barberry. 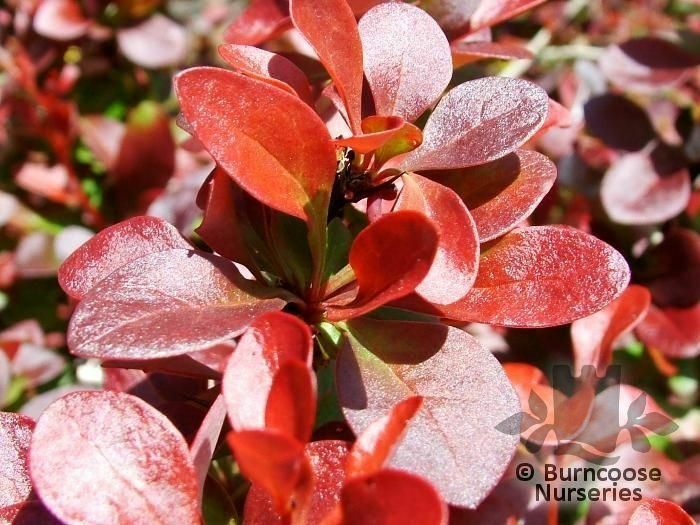 Commonly known as: Golden-leafed barberry, Japanese barberry. 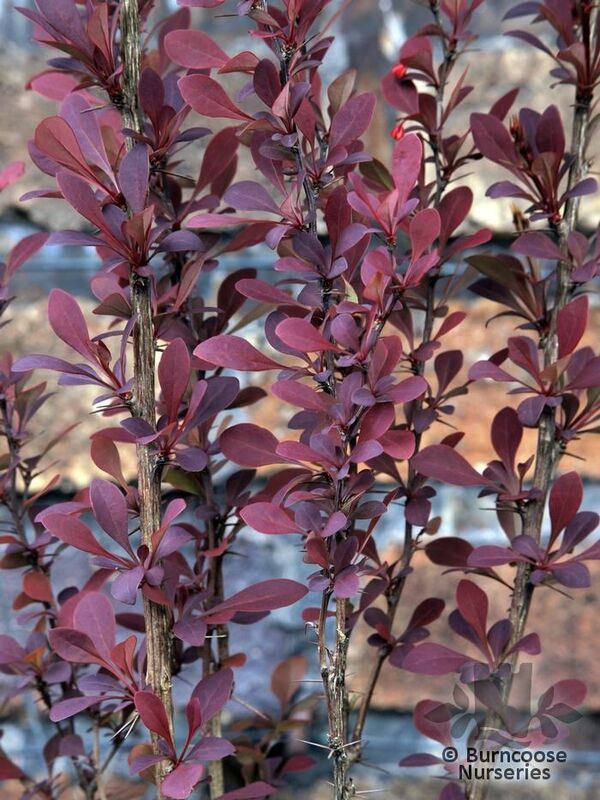 Leaves are dark green on top and grey-white underneath. 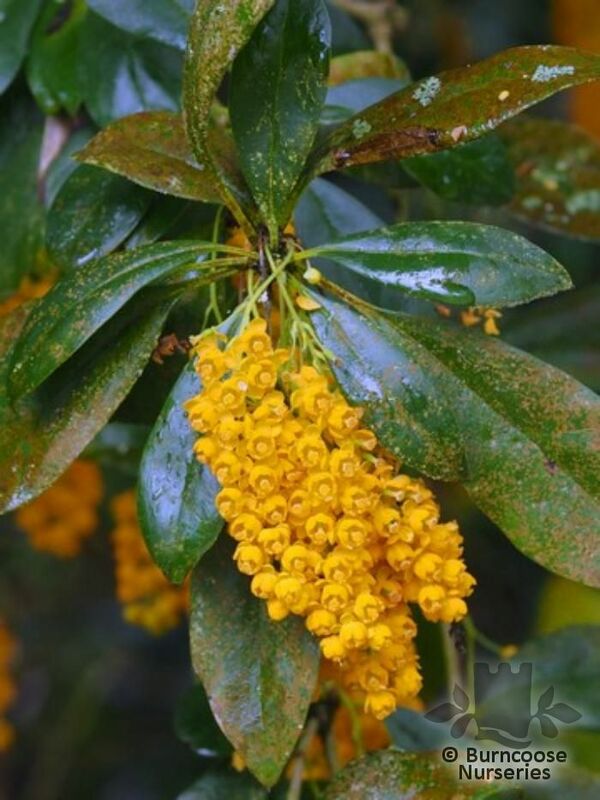 Golden yellow flowers in late spring.